* Based on a light novel series by Kamachi Kazuma, illustrated by Haimura Kiyotaka. Set in a city of scientifically advanced superhuman students, but in a world where magic is also real. Toma Kamijo's right hand, the Imagine Breaker, will negate all magic, psychic, or divine powers, but not his own bad luck. One day he finds a young girl hanging on his balcony railing. She turns out to be a nun from the Church of England, and her mind has been implanted with the Index-Librorum-Prohibitorum - all the magical texts the Church has removed from circulation. Type: TV Serie - Episodes ? In the western part of Tokyo is Academy City, so-called because 80% of its 2.3 million inhabitants are students. These students undergo a special curriculum designed to develop psychic abilities and, depending on their abilities, they are grouped into 6 categories, i.e. Level 0 (no ability) to Level 5 (super ability). Kamijou Touma is one such student. Although he is classed as a Level 0, in truth, he possesses the power known as Imagine Breaker which can cancel any and all powers. Over summer break, using his Imagine Breaker, he had first saved the nun Index from the magicians pursuing her, and then assisted the Level 5 Electro-master Misaka Mikoto in her fight against the strongest among Level 5 Accelerator. Finally, Touma saved the world by averting the magic spell Angel Fall. Now, the 2nd semester begins, and Touma will soon find himself embroiled in a battle between the practitioners of science and the practitioners of magic. 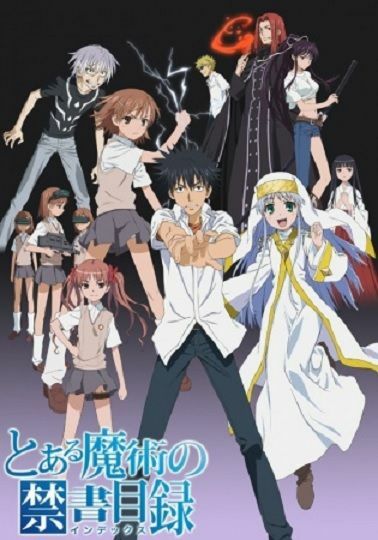 In the movie's story, just before the completion of the Academy City space elevator Endymion, the main characters Kamijou and Index encounter a Level 0 girl named Arisa. The Magicians are after Alisa, and they attack Academy City. A female leader named Shutaura leads a unit from Academy City against the attack. 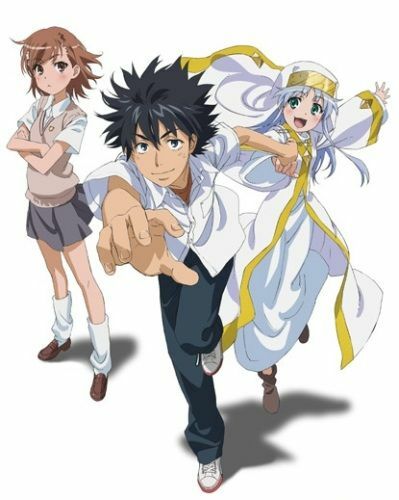 Kamijou and Index learn from Stiyl that Arisa is key to a brewing war between the sides of Magic and Science. 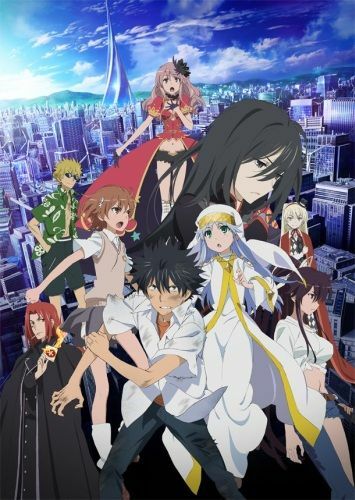 * Based on a light novel series written by Kamachi Kazuma and illustrated by Haimura Kiyotaka. Located in western Tokyo is the enormous Academy City. With a total population of over 2.3 million, roughly 80% of which are students, this city has a unique curriculum in place to develop supernatural abilities, and the students' abilities are rated in a range of six categories, from "powerless" at Level 0 to "super-powered" at Level 5. A certain student, Kamijou Touma, is one of the students who lives in Academy City. An unusual power resides in his right hand: the illusion-canceling "Imagine Breaker," capable of nullifying even divine protection. For that reason, he is rated as "powerless," which puts him in danger of flunking out, and he spends his life plagued by misfortune. As a result of a white-robed Sister falling out of the sky at the start of one summer vacation, Kamijou's school life took an extraordinary turn. 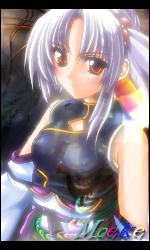 After meeting this girl, one "Index Librorum Prohibitorum," who claimed to be fleeing from the world of magic, Kamijou became caught up in all sorts of adventures. Through the balancing act of solving cases on both the science side, which controls Academy City, and the magic side, with which Index is linked, his circle of acquaintances gradually expands. Eventually, the Roman Orthodox Church, the largest denomination on the magic side, turns their attention toward Kamijou. In response to the magic side, the science side's Academy City also goes into action. However, there are others who step forward to resist the actions of a world that has abruptly started turning hostile. They are "heroes" who have greatly altered the course of fate through their interactions with Kamijou. They also put their lives on the line to stand against both sides, just as Kamijou Touma has. When science and magic cross paths a third time, the story really takes off! !